DC55 - Waiting area display - Q-net International Ltd. The DC55 waiting area display shows summarized information about ticket numbers and counters. The first three character of the five character waiting area displays are showing the number of the ticket that has been called, the following two characters are the number of the counter waiting for the customer. The colour of the display digits is red. 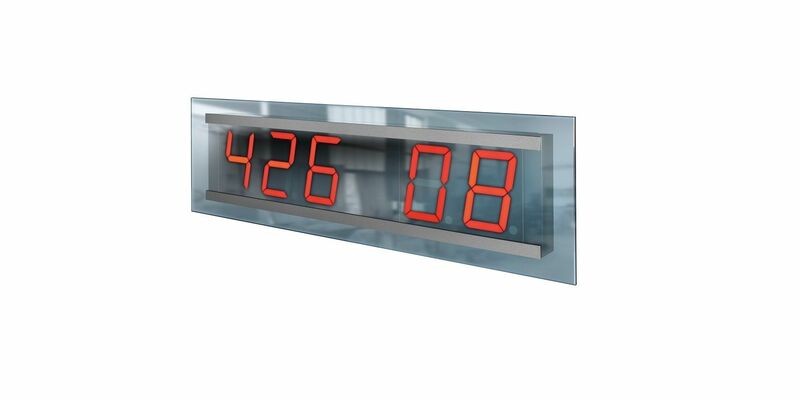 The DCxx displays can be installed in Q-net Basic, Basic Plus and Pro systems. (The blinking time can beadjusted in the Q-net software). The DCXX displays are fitting to ticket dispensers in the same design style. This entry was posted in Hardware, Queue Management Systems, Waiting Area Displays, Waiting Area Special production. Bookmark the permalink.